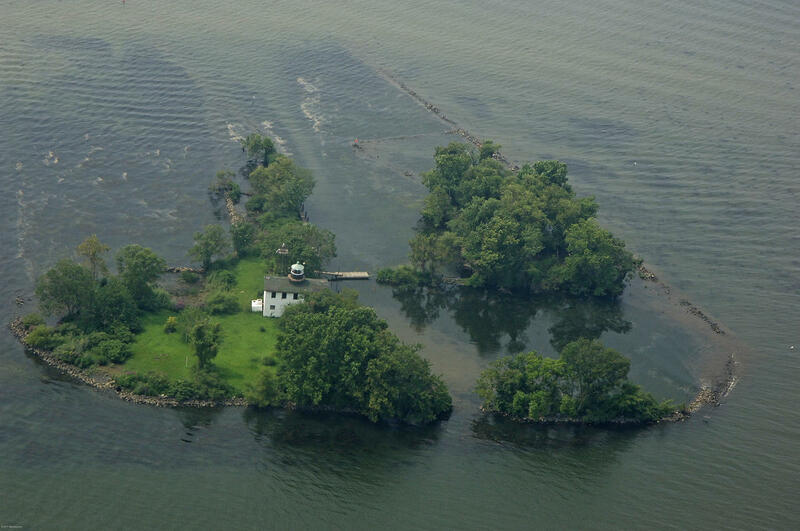 As sea levels have risen because of climate change, and the geology beneath the Chesapeake region has settled naturally over the last two centuries, more than 500 islands – large and small – have vanished beneath the waves. Some of these bay islands held hideaways for pirates, hunting lodges for the rich, brothels for watermen, the sites of illegal boxing matches and gambling dens, even an unusual enterprise to breed and skin black cats to sell their fur to China. This last scheme failed when the bay froze and the cats, wisely, ran off across the ice, according to William Cronin’s book, The Disappearing Islands of the Chesapeake. Others – such as Sharp’s Island and Holland Island -- were simply the homes of farmers and fishermen, or mosquito-infested scabs of marsh grass. On a recent afternoon, I set off in a kayak to find a tiny island that – strangely enough – has been heading in the opposite direction: rising from the bay, and growing over the years. Fishing Battery Island, as it’s called, is located about two and a half miles south of Havre de Grace, at the extreme northern end of the bay. It’s an artificial island, built from rock and soil in the early 1800’s as a base for the shad fishing industry. According to Cronin’s book, fishermen slept and lived on the tiny plot of island, using its strategic location to stretch long nets across the top of the bay. They caught millions of American shad every spring as the fish migrated from the Atlantic Ocean up the nearby mouth of the Susquehanna River. The men of Fishing Battery Island were so extraordinarily successful, they put themselves out of business by the end of the 19th century. In addition to overfishing, the construction of dams on the Susquehanna also dealt a fatal blow to the American shad populations by blocking the passage of the fish on their spawning runs. It was a cloudy, breezy afternoon when I made my journey to find the island. Gray clouds piled ominously overhead and the wind was at my back as I paddled south. It was fortunate that the wind was pushing me, because the shallow waters were thick with a dense jungle of underwater grasses. The blanket of plants spread in all directions like a Sargasso Sea, with a profusion of fish darting and hiding beneath it. I finally landed on the beach of an island like a comma of sand in the bay. Tall grasses waved around the edges; and in the middle, trees surrounded a wind-blasted brick building, its doors and windows missing. A squat lighthouse tower rose with a pointed copper roof. Signs along the shore announce that this is a wildlife refuge and that people are not allowed to walk past the waterline. But from a distance along the water, I could see that a family of osprey had taken over an iron watch tower beside the light house, building a nest. I captured their calls with my shotgun microphone. The place was so peaceful, it looked a miracle of nature. But, of course, it’s entirely manmade, built from the bay for an industry that exploited it. And as most Chesapeake Bay islands have been shrinking over the years, the U.S. Army Corps of Engineers has been slowly building up Battery Island, dredging sand from shipping lanes in the northern Bay to expand and fortify it, and working with partners to plant more grasses. Built by human hands, Fishing Battery Island is now a sanctuary from them.